I have left wine until last, it being the only alcoholic drink I am not entirely against. I shall make no distinction between red and white wine, except to say that red wine generally contains more tannin. Tannin possesses particular therapeutic properties; in particular, the procyanidin it contains helps prevent atherosclerosis, with the polyphenols also present in it having a protective effect on the artery walls. It is only a short step from this statement to the assertions of many scientists, including Professor Masquelier, that wines rich in tannin contribute to some extent to the prevention of cardiovascular disease. 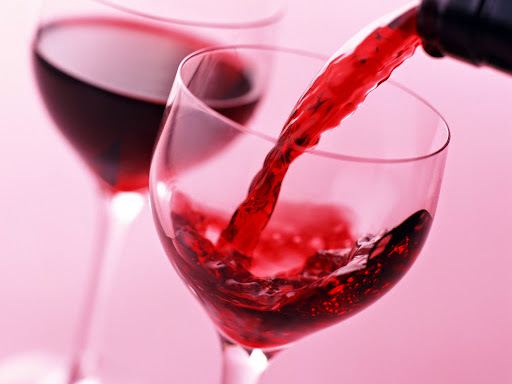 A highly reputable medical survey, carried out in Britain in 1979 and bringing together evidence from eighteen countries, concluded that the death rate from heart attacks was lowest in populations which habitually drank wine (three to five times lower in France and Italy than in Northern European countries). So, following our Method, wine can form a part of a normal diet, as long as reasonable limits are observed (about half a litre a day for a man, but only two thirds of this for a woman), and as long as it is consumed as late in the meal as possible, once the stomach is full of food. In Phase I it is as well to stay away from wine if possible. In Phase II it can be drunk on a daily basis without affecting your weight. However, wine consumption will need to be juggled carefully with other carbohydrate intake. I am thinking in particular of chocolate and desserts in general. But that will be the subject of a paragraph further on. My tip is to allow your glass to be filled and to pick it up as often as you would if you were drinking normally. But just wet your lips with the wine rather than actually drinking any. I used this trick over several weeks and I assure you that no-one ever noticed I was not drinking. In the same way, no-one has ever noticed that I am not eating a crumb of bread. To keep up the pretence, I always take my piece of bread and break it, but it stays beside me uneaten. Vinegar contains only a negligible amount of alcohol, so it can be used to season crudites and salads, unless, of course, you prefer lemon. Really strong coffee, Italian espresso with a caffeine content that would waken the dead, is out. Drink decaffeinated or weak arabica coffee, which contains much less caffeine. Decaffeinated coffee can be found everywhere these days and it is usually good. At home, too, you can make a very good decaffeinated brew. Even serious coffee drinkers cannot tell the difference. If you are a heavy drinker of very strong coffee, it is probably because you feel the need for a stimulant to wake you up. If you regularly "run out of steam" round about eleven o'clock or in mid-aftemoon, this is because you are hypoglycaemic (see the chapter on this subject). Caffeine is not permitted here because, although it is not a carbohydrate, it has the effect of stimulating the pancreas into producing insulin. If you have just finished a meal with no bad carbohydrates, and all surplus energy is being accounted for, it would be silly to undo the good work by drinking a cup of strong coffee and prompting the pancreas into secreting insulin that will set the fat accumulation process going. If you are a coffee drinker, you should have no difficulty in going over to the decaffeinated variety when you start applying the Method. You will soon find yourself not even feeling the need for coffee. It is important to stress, in any case, that coffee drinkers (whether they drink coffee with or without caffeine) are laying themselves open to a further risk: that of a raised blood cholesterol level (see chapter on high blood cholesterol). Beware of tea, too, as it can have as much caffeine as a cup of coffee and, in addition, contains tannins which can inhibit the absorption of iron!